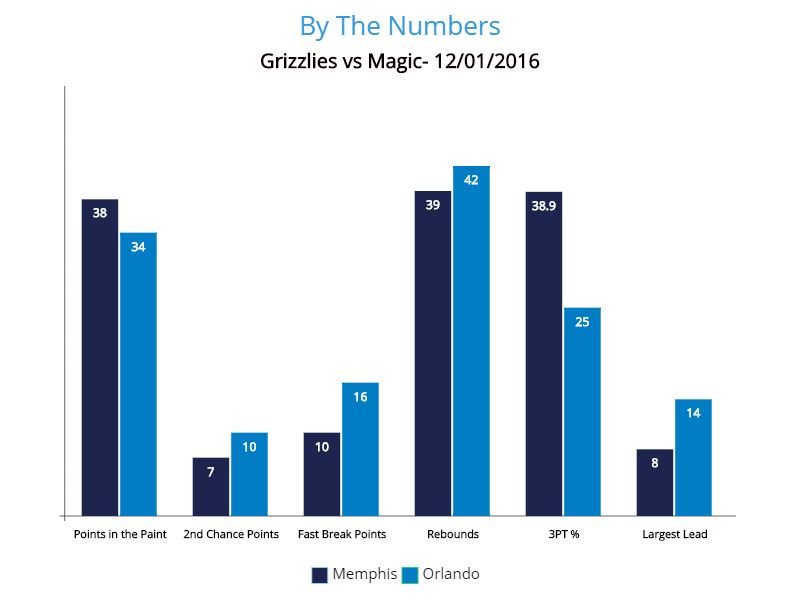 After taking an L in Toronto Wednesday night, the Memphis Grizzlies returned home Thursday night to face off against the Orlando Magic. Already shorthanded and on the second night of a back to back game schedule, this would have been a loss that could almost be justified, if not for the fact their opponents are just not very good at being a basketball team. Perennial playoff contenders such as the Grizzlies should not lose to the Magic. This was an ugly game to watch regardless of which team you were cheering for*, and the Grizzlies were barely able to eke out a win. Said win was earned almost entirely due to the 4th quarter heroics of Tony Allen, and closed out by a pair of ultra clutch free throws from Marc Gasol with 12 seconds remaining. Under kinder, healthier circumstances, this Memphis team would not have struggled so mightily against an Orlando team struggling to find an identity which includes regularly winning games. But in the tragicomedy that has been 2016, the Grizzlies losing a key player to injury for an undetermined length of time continues to be A Thing. This time, it’s our conductor and starting point guard, Mike Conley, who is recovering from multiple fractured vertebrae sustained during Monday night’s home loss to the Hornets. More specifically in a freak occurrence after Frank Kaminsky used Conley’s back as a landing place for his 7-foot, 240 lb. frame. For those of you who have not been keeping count, Mike Conley joins an injury list that now includes Brandan Wright, Chandler Parsons, James Ennis, and Vince Carter. 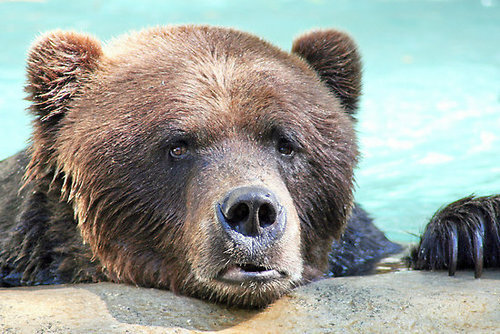 I was hoping I wouldn’t have to break out Sad Bear this season, but here we are. Life comes at you fast. On paper, the individual pieces of this Orlando team seemed like a much better idea than they have proven to be as a collective. Like the Grizzlies, the Magic also made a number of moves in the offseason, ostensibly in pursuit of improving their chances of winning games. The most notable changes in Orlando this summer included hiring former Indiana Pacers head coach Frank Vogel to replace Scott Skiles, and trading away Victor Oladipo, Ersan Ilyasova, and the freshly drafted Domantas Sabonis to the Oklahoma City Thunder in exchange for Serge Ibaka. In the interest of full disclosure, as soon as I found out he was getting Lionel Hollins’ed from the Pacers, I put Frank Vogel on my shortlist for potential Grizzlies head coach candidates. Here is where I need to take a moment to publicly eat some crow over an opinion I had briefly this summer that was so very, very wrong. I’m sorry fam, I realize in hindsight just how absurdly wrong this was in every possible way. Considering how much David Fizdale and his staff have already accomplished in just a few short months, I have never been happier to be so completely wrong about something in my life. Oh yeah, Orlando also signed a former Grizzlies player this summer, He Who Must Not Be Named Without Grizz Twitter Bursting Into Flames. The best part of the night was inarguably pre-game, first with a performance by the Grahamwood Elementary cheer squad, followed by the singing of the national anthem, performed by the Grahamwood 5th Grade Choir. I am totally not saying that because my amazingly talented 10 year old daughter happens to be a member of the aforementioned choir. That’s entirely coincidental, and I am in NO WAY biased in saying it was the most enjoyable part of what ended up being a very ugly game until the very end. Nerd Stuff. Now with 100% more bar graphs. 1.) 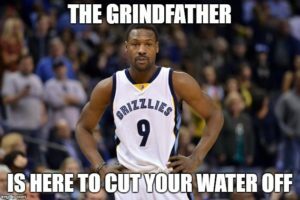 Tony Allen continues to do Tony Allen Things to the Ibaka’s and the Green’s of the world. If you are uncertain about what constitutes Tony Allen Things, kindly redirect yourself to the 4th quarter, around roughly the six minute mark. Repeat as necessary. You’re welcome. 2.) Troy Daniels appears to have found his shot again. That certainly is convenient. 3.) 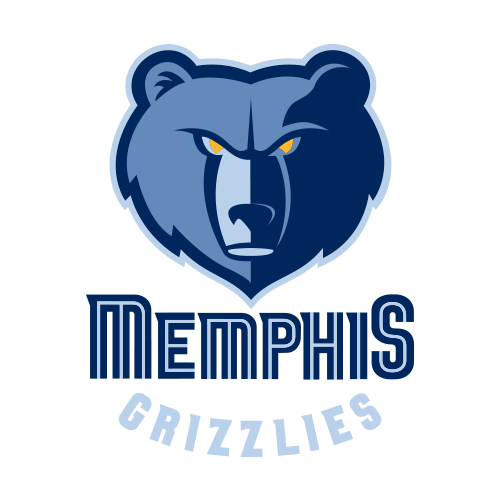 Meaningful minutes played by the Grizz Cubs: Andrew Harrison, Wade Baldwin IV, Troy Daniels, Troy Williams,and Jarell Martin. They might not have been the most aesthetically pleasing minutes, but this is exactly what they need to be doing. 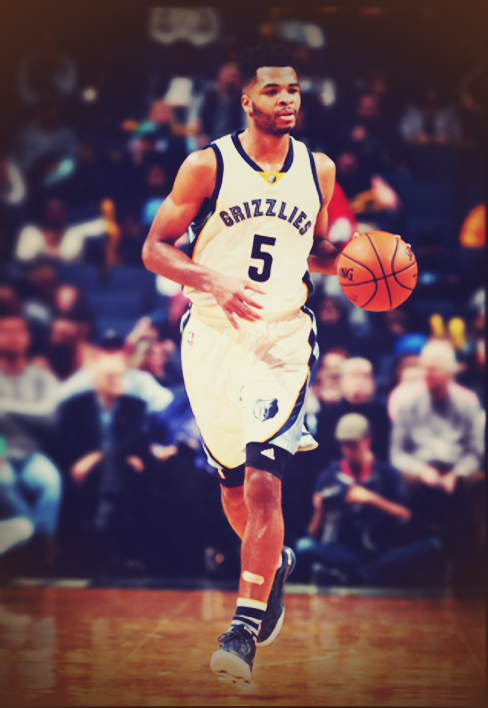 Welcome to the future, Grizzlies fans! This is what it looks like to develop green players from the D-League into something that resembles an actual NBA roster player. It’s not pretty to watch, but it’s absolutely necessary from a player development standpoint. I realize this is largely a foreign concept to Memphis fans, as we’ve not really experienced a head coach who does this kind of thing. I think once the initial shock wears off, you’re all going to like it here. Get that work, young man. 4.) 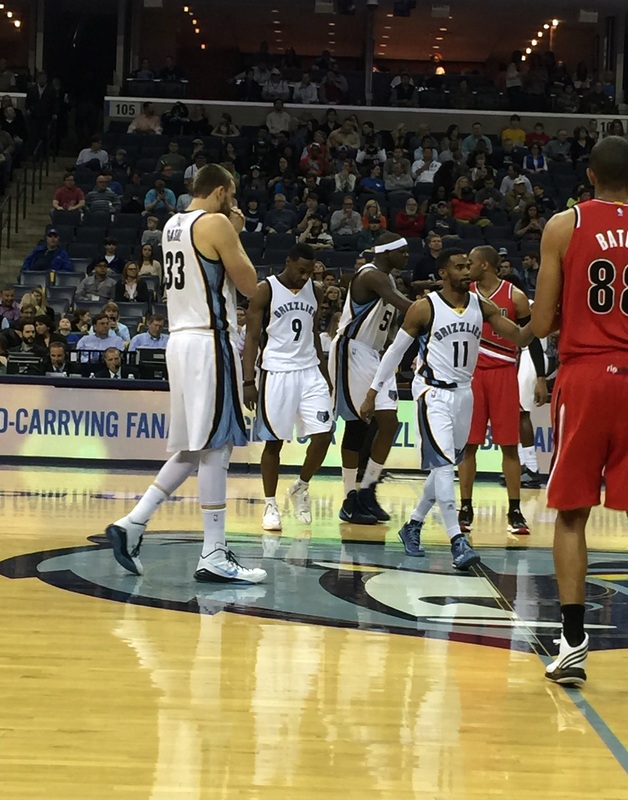 Andrew Harrison shooting 4-8, with a game high eight (8!) assists. We’re still going to have to talk about free throws and turning the ball over (make them and STOP, respectively) but to give credit where credit is due, there’s been noticeable improvement from the young point guard overall since the start of the season. Props to Harrison on putting in work, and to Grizzlies Assistant Coach Nick Van Exel as well for giving him some extra attention as of late.